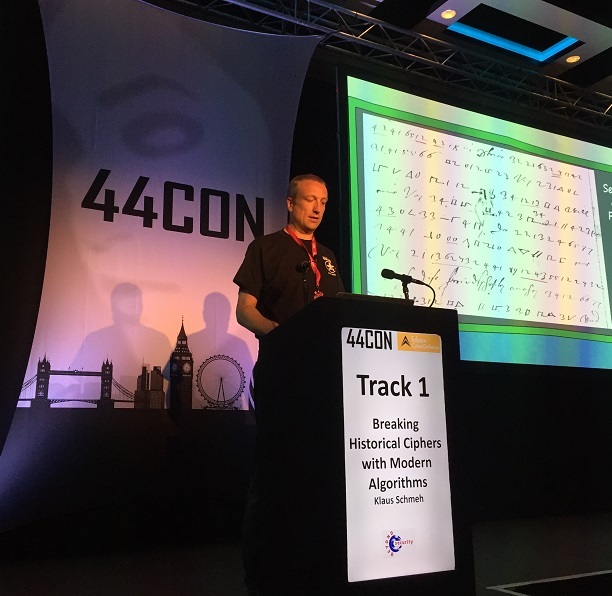 … I spoke about Breaking Historical Ciphers with Modern Algorithms, intoducing many cases I covered on this blog. 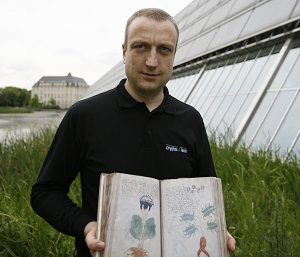 At this year’s edition of 44CON I will talk about something completely different. The title of my presentation is How to Explain Post-Quantum Cryptography to a Middle School Student. In fact, explaining post-quantum crypto algorithms to non-mathematicians is quite a challenge. Most of these methods involve sophisticated mathematics. In addition, the literature available is written for mathematicians, not for people only interested in understanding the basic concepts. The purpose of my presentation is to close this gap. Among the crypto systems I will cover in my talk are the so-called non-commutative systems. I will explain them with a Rubik’s Cube. 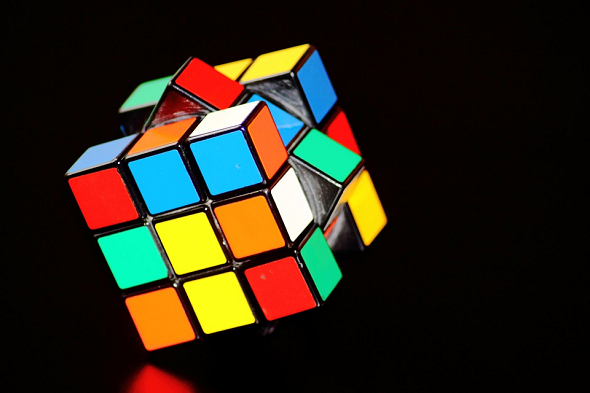 In the following, I will introduce a Rubik’s Cube puzzle that illustrates the mathematical problem this crypto system is built upon. It is clear A+B is not necessarily the same as B+A. This means that Rubik’s Cube move sequence addition is not commutative (unlike the addition of numbers). It is clear that the move sequence A+(-A), which can also be written as A-A, does not change the cube. We therefore write A-A=0. Find the move sequence X, for which X+A-X = B. If you have found one of the solutions please leave a comment. And please tell us how you did it. I have to admit that I don’t know how to approach such a puzzle. It is clear, however, that a solution always exists.